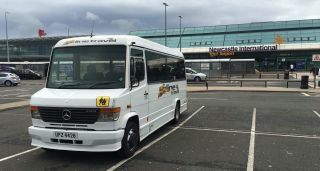 Beeline Minibuses - North East Minibus Hire. Airport Runs and school runs. 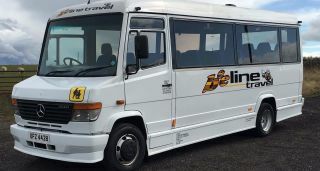 Do you need a reliable minibus for those early airport transfers? As a local and family run business, our reputation is built upon punctuality, customer satisfaction and clean and comfortable minibuses. Helping with anything from hen parties and stag nights to ferry port transfers and sporting trips, you'll see that we put your satisfaction first. All of our drivers are fully uniformed and provide a friendly and efficient service. 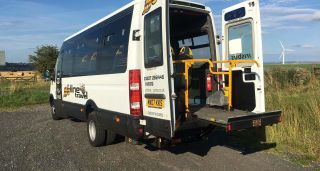 We thrive on great feedback and we are constantly improving our minibus hire services so you receive the best. Our Services are available in Stanley, Chester-le-Street, Consett, Durham, Greencoft, Rowlands Gill, Sunderland, Washington and other areas in the North East region.